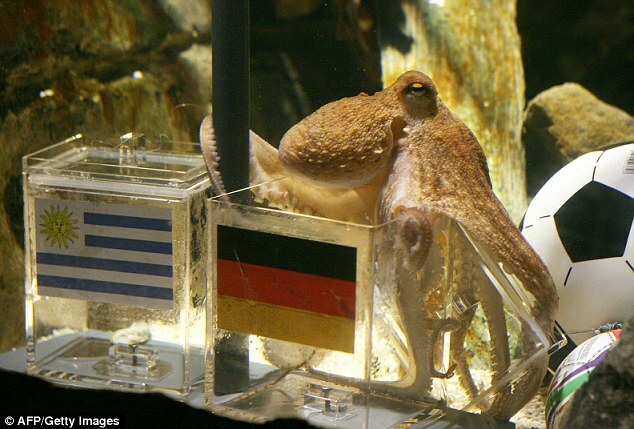 MIND SOUP: In a televised live appearance on the German television, Paul the octupus predicted that Spain will win the World Cup finale which is scheduled on Sunday night. Netherlands fans started getting edgy, especially after seven correct predictions made by the lower invertebrate earlier this season, latest of which was the defeat of Germany to Spain on Wednesday. "That was fast -- it looks like a clear-cut victory for Spain," said Tanja Munzig, spokeswoman for Sea Life in Oberhausen. She was surprised by his speed in picking Spain. For some matches it took Paul 70 minutes to decide. Also, according the Associate Press, Paul has predicted that Germany will win over Uruguay for third place. 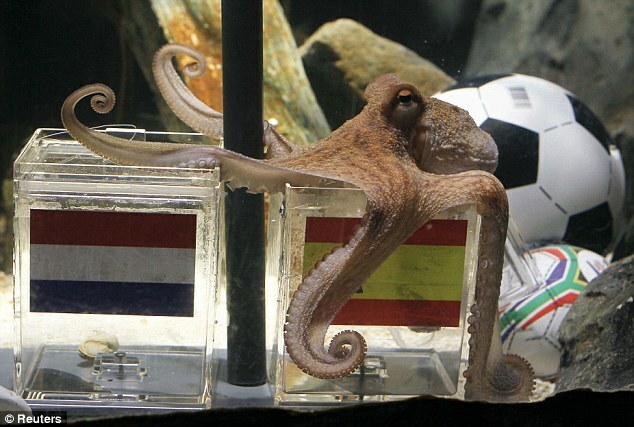 Meanwhile, other animals are predicting the outcome of the final World Cup game too. The funniest has to be the prediction of of Kermit the Frog from Sesame Street. He is rooting for Netherlands on Sunday.